Think you know everything about dental implants? If you’re considering the dental implant procedure to replace missing teeth, we recommend scheduling an appointment with our dental implant dentist. Dr. Suk Jun Yun DDS will be able to determine if you’re a candidate for the dental implant procedure and what you can expect moving forward. Contact us with any questions you may have. Continue reading to learn about the 5 things you should know before getting a tooth implant. 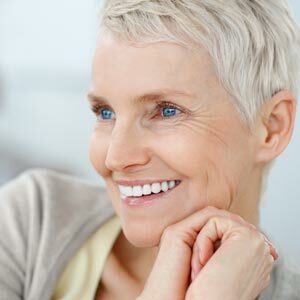 Dental implants replace missing teeth so you can smile with confidence. Unlike other tooth replacement options, dental implants are anchored in your jawbone and keep crowns firmly in place for years. There are different types of dental implants. Dental implants stop bone loss. Dental implants last for years. You can keep healthy teeth. 1.) There are Different Types of Dental Implants. Did you know that there are different types of dental implants? In addition to full-sized dental implants, our dental implant dentist also offers mini dental implants, all on four implants, all on six implants, and implant supported dentures. Mini dental implants can be placed in one appointment, which means you’ll be able to enjoy your new smile as soon as possible. Despite being smaller than traditional dental implants, mini implants are strong enough to support a denture right away. A mini dental implant has a ball at the end so your dental crown can snap into place. Your dental crown has a socket underneath, allowing the mini implant to form a secure attachment. If most or all of your teeth are gone, our dental implant dentist may recommend all on 4 (or 6) implants. These dental implants replace an entire arch of teeth so you can smile with confidence. 2.) Dental Implants Stop Bone Loss. Once you lose a tooth, your body will start to absorb minerals from your jawbone to use elsewhere. If left untreated, jawbone deterioration can cause the remaining teeth in your mouth to loosen and fall out. Eventually, jawbone deterioration ends in facial collapse, which makes your face look sunken in. Fortunately, our dental implant dentist is able to place dental implants in your jawbone to stop this process in its tracks. A dental implant is an artificial tooth root (typically made of titanium) that later anchors a crown. A dental implant exerts pressure on your jawbone, tricking your body into thinking you still have a tooth root. 3.) Dental Implants Last for Years. Dental implants typically last longer than other tooth replacement options, like dentures. Many of our patients appreciate that their dental implants allow them to eat, talk, and smile with confidence. Your dental implants should last for many years to come, as long as you give them proper maintenance. This means brushing your teeth twice a day and flossing once daily to remove plaque. 4.) You Can Keep Healthy Teeth. Choosing dental implants means you don’t have to replace all your teeth at once. This means that you can choose to have one or two dental implants, while leaving the rest of your natural teeth in place. Our dental implant dentist wants to help you maintain a beautiful healthy smile, which is why he offers everything from single dental implants to implant supported dentures. We’re able to replace as many teeth as you need. 5.) Dental Implants Look Natural. Unlike other tooth replacement options, dental implants look and feel natural. Even well-fitting dentures have the tendency to slip after sneezing, coughing, laughing, or even smiling. While you can easily correct slipping dentures by gently biting down and swallowing, many of our patients would prefer to avoid this hassle altogether. Our dental implant dentist will make sure that your new tooth implant looks natural and matches the rest of your smile. Dr. Suk Jun Yun DDS is a dental implant dentist in Grand Rapids MI. To learn if you’re a candidate for the dental implant procedure, call NorthPointe Family Dental & Implant Center at (616) 288-6134.